PoorWriter.com is such a lovely two-word generic, picked up recently at GoDaddy's Aftermarket Fire Sale. Most of the names there are total crap, even hilarious in the oddity of some terms (otherwise they wouldn't be offered at a fire sale), but, occasionally, something great slips through. Believe me, I sat on tenterhooks as I waited for the transfer of this name to my GoDaddy account (which occurred yesterday). I have a few other great names in the fire sale wings, which I'll discuss if I "win" the names. For newbies who have not registered expired names, you should be aware that even if you register an expired domain name, it's not really yours until it has passed through a "redemption" period during which time the original owner can still redeem the domain (although, from my understanding, the redemption fees can be fairly steep), usually about seven days, depending on when you snag the name in the redemption cycle. If it's reclaimed, you get a full refund and a lot of disappointment, but that's the deal. I honestly don't know how PoorWriter.com even reached the fire sale level; when I observe some of the crap names that SnapNames and Pool offer for $99.00, it's all the more amazing that this one wasn't caught by the major aftermarkets. Is it a $50,000 domain? Probably not. But the *right* buyer might pay a high four or low five figures. Consider this: the term "poor writer" (in quotations) gets about 56,000 Google hits. "Poor" gets about 470,000,000 hits, "Writer" about 217,000,000 hits. Granted, the term with both words is not likely to garnish much direct navigation; its strength lies in its inherent ability to hit the search engines organically, a main reason for this post (a test, perhaps). Also, it's a logical term, one used often by writers who are struggling to earn money at their craft. For now, the name isn't for sale, primarily because of the 60-day lock on it. Also, being a frustrated writer by trade (and "poor" in the sense that I don't earn much money from my writing), I may opt to keep the name anyway and do something really cool with it. I haven't decided yet. Right now, it's parked over at Sedo. I also picked up the plural PoorWriters.com ("deleted and available again") in a regular registration. The plural "Poor Writers" gets about 31,000 hits, "Writers" about 137,000,000 hits). This, too, is an amazing catch, although the singular is almost always the cream. I figured I might as well pick up the plural and either use or sell the two dot-coms as a package. I did my homework on these two: no registered trademark infringement (USPTO, United States Patent and Trademark Office) and not used as a business, so no "natural" TM--just a mournful term to describe most writers' financial situation and in academia, where young slacker writers are often referred to as "poor writers" (albeit behind their backs). But I can also see it as a writer's forum (with ad$en$e), where newbie writers could come to vent and trade ideas. Or it could be the title of a literary magazine or a company that offers self-publishing services and/or book review services. The days of snagging a direct navigation generic one-word dot-com terms at low prices are probably over forever, but finding good two-word generics is still within reach; it just takes some work and good sleuthing. 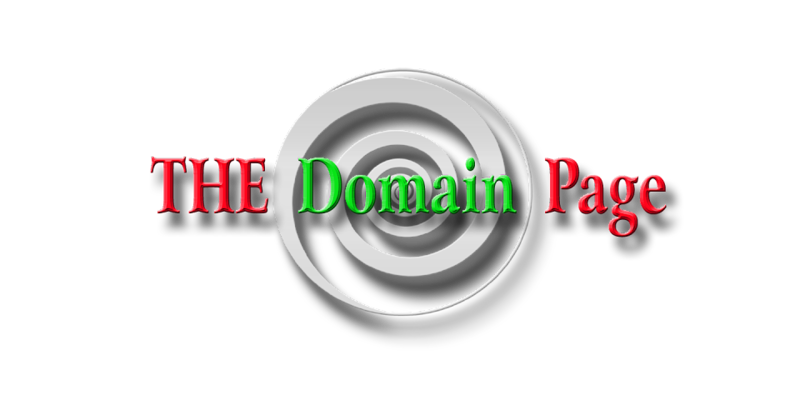 NOTE: From time to time, I will be featuring some of my generic domains that offer good possibilities, either for me or someone else. I will also "feature" some of my "stinkers": domains registered before I knew to check USPTO (United States Patent and Trademark Office) and Googling the term with "quotation marks" to ferret out "natural" (unregistered) trademarks. The domain poorwriter.com has a nice ring to it.